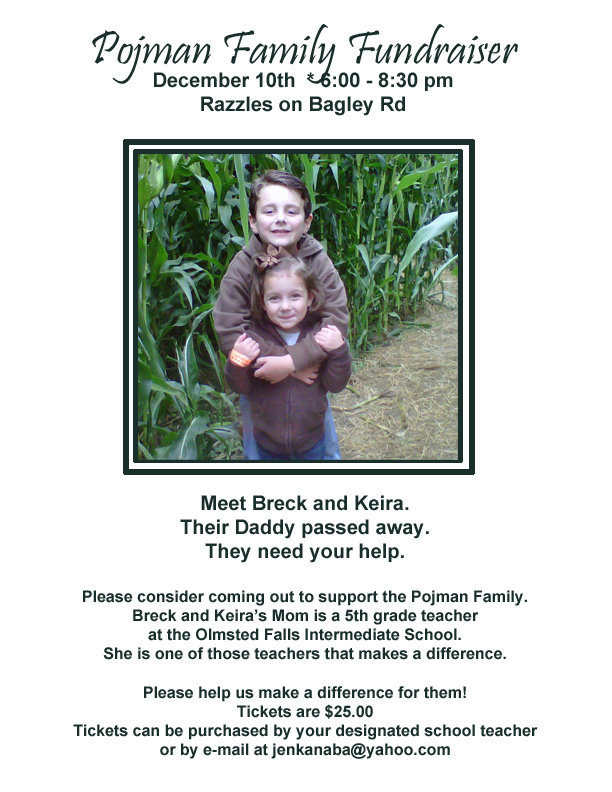 Please consider coming out to support the Pojman Family. Breck and Keira’s Mom is a 5th grade teacher at the Olmsted Falls Intermediate School. She is one of those teachers that make a difference. Please help us make a difference for them! This entry was posted in Local Events & Classes, OF Schools. Bookmark the permalink.